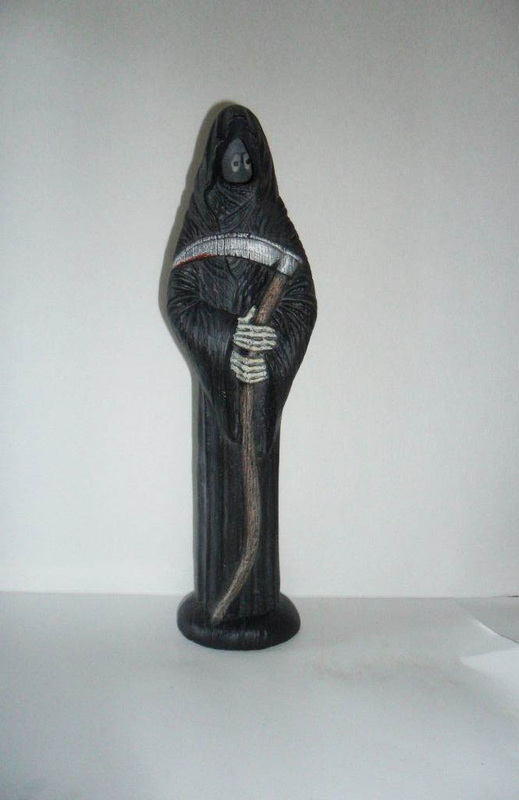 Hand painted ceramic grim reaper. 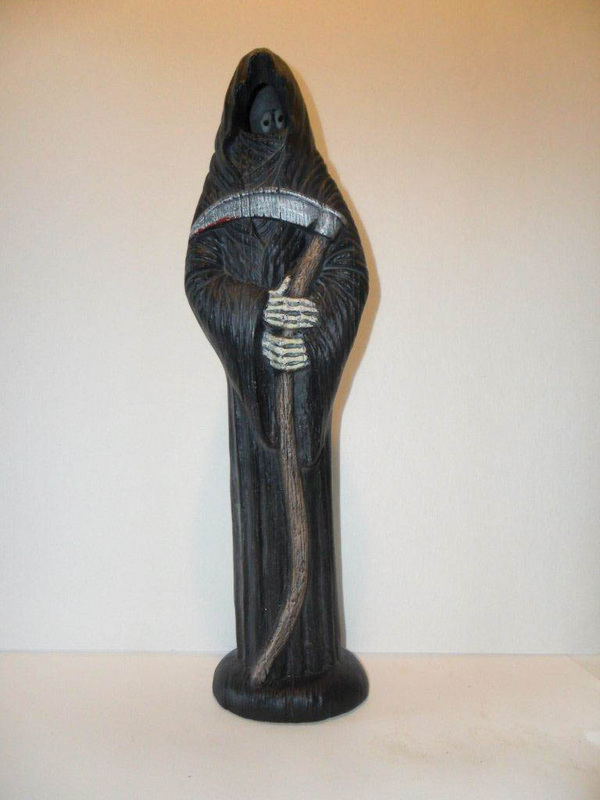 Great halloween decoration - the eyes and skeletal hands glow in the dark (glow in the dark paint applied). 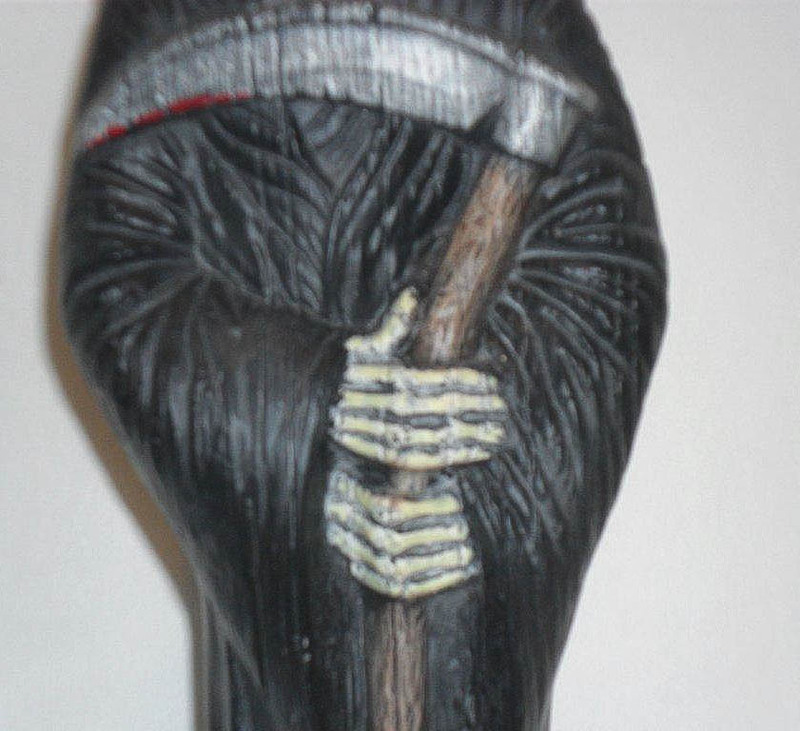 The face is hooded and he is holding the scythe of death! **This item is hand made from start to finish in my shop. We pour the mold, sand the item of any imperfections, fire in one of our studio's kilns. Finally I paint the piece using acrylic paints. 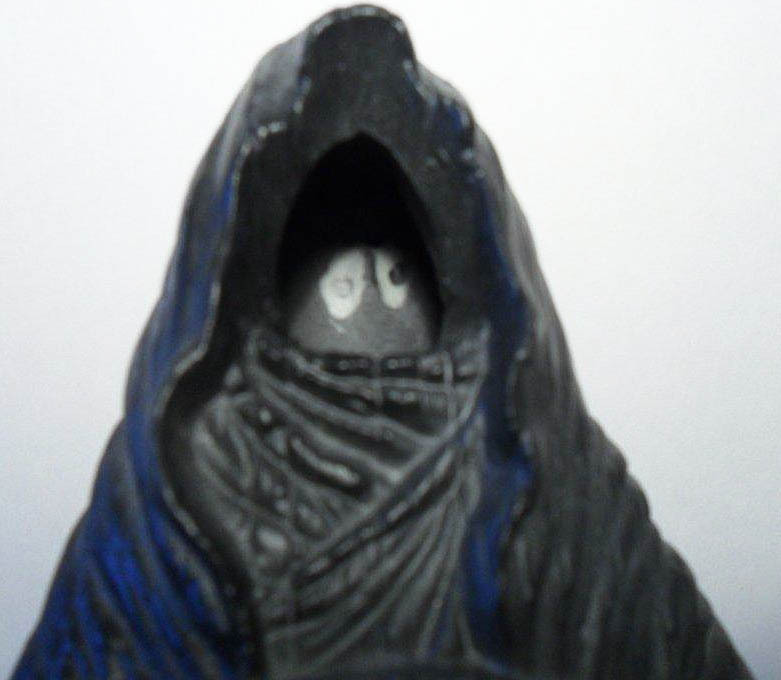 Glow in the dark paint is added strategically on the eyes and skeletal hands for an added spooky touch.